Grafs.com has received a large shipment of the new IMR 8208 XBR powder. This is good news as Powder Valley recently sold out. Grafs.com has both 8-lb jugs for $149.99 (item IMR82088) as well as smaller 1-lb containers for $21.99 (item IMR82081). If you haven’t heard about IMR 8208 XBR, this is a very promising new powder that is very accurate, meters well, and is much less temp sensitive than other powders of similar burn rate. This powder should be ideal for many applications including .223 Rem, .204 Ruger, 6 PPC, and .308 Winchester. Will 8208 XBR work in a 6BR or Dasher with heavy bullets? We’ll let you know soon — we’re planning to test it ourselves with an 8-twist 6mm BR. 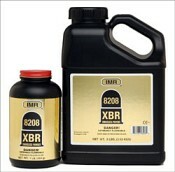 Share the post "IMR 8208 XBR in Stock at Grafs.com"
That’s it… we’ve shared all that we know for now. Share the post "Norma Plans to Resume 6PPC Brass Production"
Based in Oceanside, California, Creedmoor Sports is one of the leading suppliers of equipment for High Power, Prone, Smallbore and Air Rifle shooters. Creedmoor’s General Manager Dennis DeMille is a former National Champion High Power Shooter. Dennis and his staff have the expertise to know what competitive shooters need. Creedmoor has some good Holiday Specials running right now, and there is still time to order gift items for Christmas if you get your order in by midnight PST on December 21st. Creedmoor’s “affordable gift picks” for this Holiday season include instructional DVDs, Shooting Gloves, Rifle Slings, and Shooters’ T-Shirts. Master Sgt. 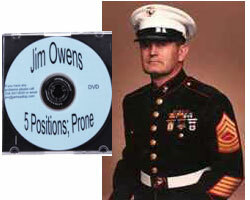 Jim Owens (USMC retired), aka “Jarhead Top”, has created a series of instructional DVDs for High Power, Position, and Service Rifle Shooters. Owens’ DVD titles include: Reading the Wind; Positions–Prone; Positions–Sitting & Offhand; Sight Alignment & Trigger Control; Service Rifle Sling; and M1 Garand Care & Cleaning. All these cost $16.00 (that’s 20% off), except the longer Reading the Wind DVD, which is $24.00 after 20% markdown. This glove is offered for both right- and left-handed shooters and meets all ISSF and NRA rules. It’s made of premium leather with rubber facings and ample padding. 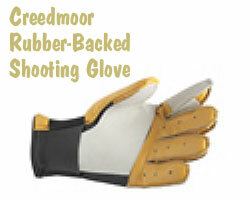 The rubber on the back of the glove is designed to eliminate sling slippage when locked into position. For the holidays, this glove is marked down to $40.00 from $44.95. 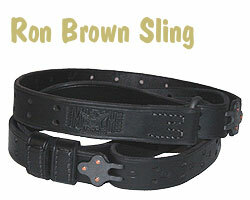 Each sling is hand-stitched by Ron Brown in Lexington, KY. These slings are made from the highest-grade Hermann Oak leather, in saddle-tan or black. Slings are edged and creased, and holes are numbered. D-rings are oversized and parkerized. Frog hooks are made by Waterbury Buckles. All slings are treated with Neatsfoot oil guaranteeing years of use in the harshest conditions. According to Dennis, this is “the highest-quality service rifle sling money can buy”. Price is $60.00. Creedmoor offers a selection of 100% cotton t-shirts printed with rifle images or clever messages that will appeal to serious shooters. In all there are over 30 gun-related designs available, including the ever-popular “Life’s Too Short to Shoot 9s” and “Got Ammo?”. Share the post "Last-Minute Bargains at Creedmoor Sports"
As many of you know, there is a concerted effort in the United Nations to adopt an international Arms Trade Treaty (ATT) regulating civilian small arms. The Treaty would extend, and make binding, the restrictions of the U.N. Firearms Protocol adopted in 2004. This effort has been lead by the International Action Network on Small Arms (IANSA), funded by billionaire George Soros. 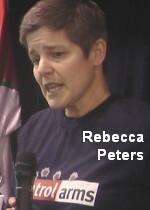 IANSA’s director is Rebecca Peters, a radical anti-gunner from Australia. Under Peters’ leadership, anti-gun coalitions convinced Australian politicians to ban semiautomatic rifles and shotguns, as well as confiscate and destroy nearly 700,000 weapons. The proposed international small arms treaty has been pushed by representatives of many foreign nations. Related efforts to restrict civilian arms have been supported by European countries, such as Great Britain, which donated $2,000,000 to IANSA in 2001. The details of this story are revealed in the video below, produced by NRANews. 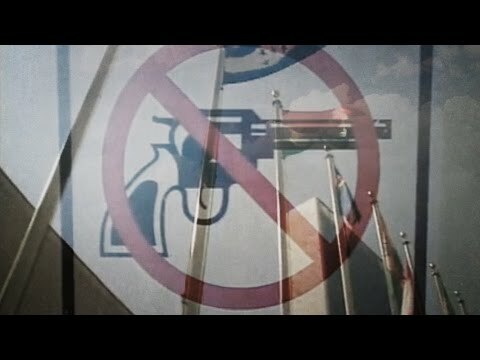 The video is an advocacy piece opposing interference by the United Nations and other countries in U.S. firearms policies. Keep in mind that this NRA video is deliberately alarmist — it intends to make the situation appear more dire than it may truly be… for now. Blue-helmeted storm troopers are not going to break down your door tomorrow. Nonetheless, the video reveals many important facts which American gun owners should understand. This video includes interviews with leaders of gun rights groups in Australia, Canada, Ireland, and New Zealand. Their experiences are very telling… they have seen the effect of sweeping gun confiscations. The producers of this video believe that an international treaty could defeat Second Amendment rights in the United States. That may be an extremist view — the Constitution would still remain the law of the land. But the video is worth watching. 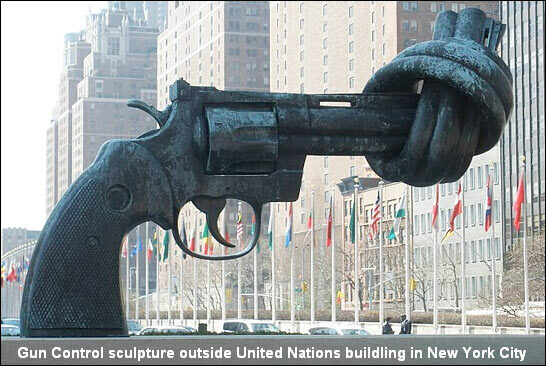 Share the post "United Nations & IANSA Global Gun Control Agenda Revealed"